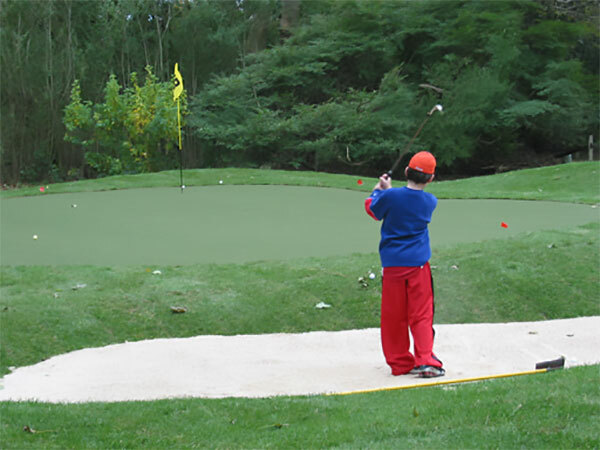 Teaching your kids to hit bunker shots? Beautifying your landscape with a unique feature? Putting contests and Backyard BBQ’s? 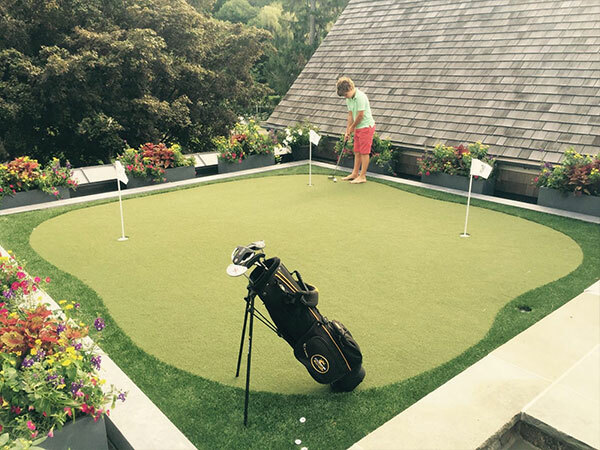 How much space is available for your personal putting green? Will you use it just for putting and chipping or will you be hitting long shots to it? This can help you determine the type of turf to use. Depending on how you will primarily use the green we offer both Sand Filled Polypropelyne and Nylon Putting Turfs. If your space is limited or you’re looking solely for putting, Click here to see our “Signature Standard Greens” layouts and pricing. 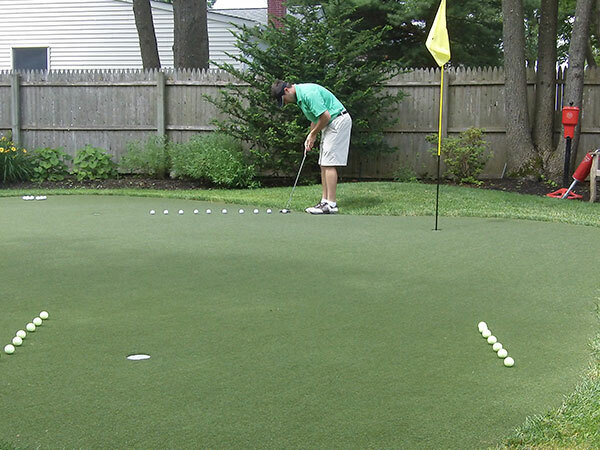 Have you considered contours and undulations for your putting green? Do you prefer a synthetic fringe collar or natural sod? How fast do you want it to roll? 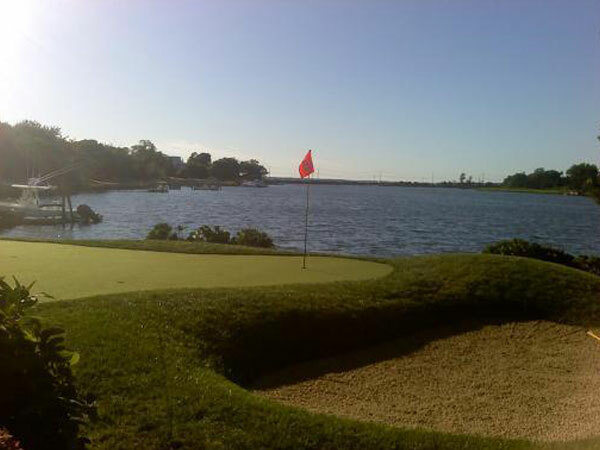 Would you like a sand bunker or two? A water hazard?